Email the JCC (admin@jcc-gfes.org) to sign up for the winter and spring sessions of conversation club. Sign up for one of both sessions of conversation club. This entry was posted in Conversation Club, What's Happening on December 5, 2018 by jcc.gfes. 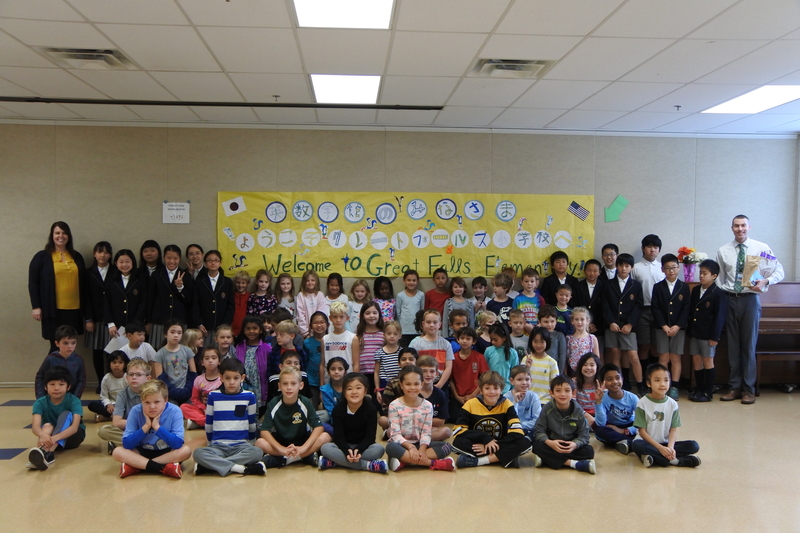 We had a wonderful visit from 13 Eisugakkan students. Thank you again Great Falls families for hosting these students over the weekend. I know that the homestay portion is always the most exciting and memorable experience for these students. This entry was posted in Sister School-Eisugakkan, What's Happening on October 30, 2018 by jcc.gfes. Sign up for the Fall 2018 Session of Japanese Conversation Club. This entry was posted in Conversation Club, What's Happening on September 10, 2018 by jcc.gfes. Prepare for the upcoming second annual J2B (Junior Japan Bowl) Tournament 2018 with this handy study guide prepared by the JCC. J2B18 will take place on Friday, May 11 at Thomas Jefferson High School for Science and Technology’s auditorium from 6pm to 8pm. Contact the JCC if your child is interested in being on the GFES team. Quiz yourself using Quizlet HERE. This entry was posted in Activities, Conversation Club, Events, J2B, What's Happening on March 8, 2018 by jcc.gfes. Sign up for Japanese Conversation Club’s Spring 2018 Session! We will meet Tuesdays (3:30-4:30pm) starting April 3-May 22. Practice for Junior Japan Bowl 2018 will commence. Game on! This entry was posted in Activities, Conversation Club, What's Happening on March 8, 2018 by jcc.gfes. This entry was posted in J-LEARN, Meeting Minutes, What's Happening on February 15, 2018 by jcc.gfes. This entry was posted in J-LEARN, Meeting Minutes, What's Happening on January 23, 2018 by jcc.gfes. Sign up for Japanese Conversation Club’s Winter 2018 Session! We will meet Tuesdays (3:30-4:30pm) starting January 16. This session we will start preparing study materials for the upcoming Junior Japan Bowl (J2B) competition. Bring home another trophy! This entry was posted in Activities, Conversation Club, What's Happening on December 6, 2017 by jcc.gfes. 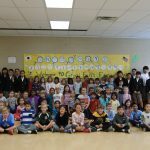 On November 15, 2017 GFES JIP kids helped feed needy students around the world by participating in the World Food Day Campaign 2017: Change the World with Onirigi. This entry was posted in Events, Special Events, What's Happening on November 16, 2017 by jcc.gfes. This entry was posted in J-LEARN, Meeting Minutes, What's Happening on November 12, 2017 by jcc.gfes.